At Willsmere Dental we have an on site OPG Machine and specially trained dental professionals on staff which means you can usually have your entire procedure from diagnosis to after care completed at our modern Kew dentist practice, without needing to be referred elsewhere. Our visiting oral surgeon Dr Ayasamy specialises in the extraction of wisdom teeth. Removing your wisdom teeth may also be an important step in periodontal therapy or orthodontic treatments. If removal is necessary, we will discuss a variety of sedation and anaesthesia choices with you to make the experience as comfortable as possible. 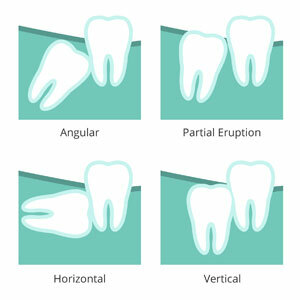 For more information, schedule a check up with us to find out more about your wisdom teeth.